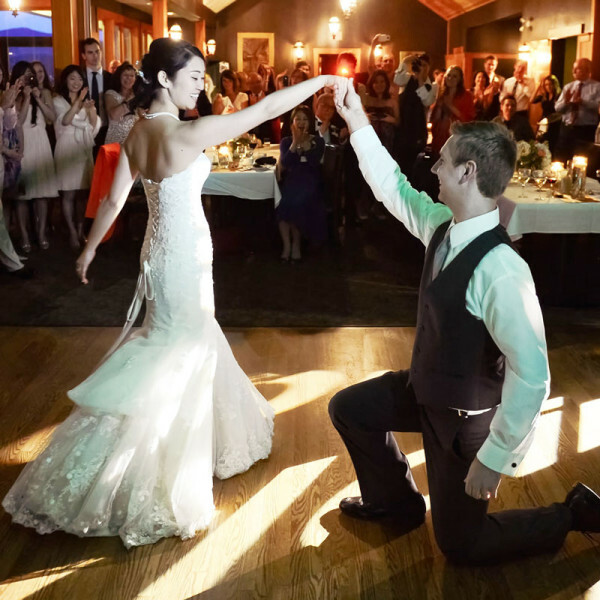 Joel and Clara first met at The University of British Columbia Dance Club. Neither of them had ever danced ballroom before, joining the club purely for the social aspect. Before long, they found themselves involved in local competitions at the novice level. They danced with separate partners and were in close competition against each other as they began their romance off the dance floor. However, pretty soon they realized that they saw more of their dance partners than of each other. During the summer of ’98, Joel & Clara teamed up as dance partners. They were successful in both Latin and Ballroom styles, winning various events and moving up the levels at an extremely fast pace. Because they were both full-time university students, it was hard to find time to practice all ten dances and pay for two sets of lessons and costumes. 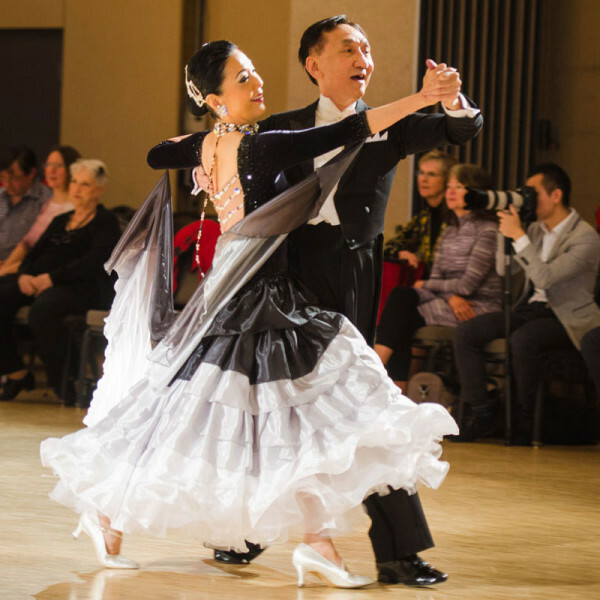 They decided to focus on the Ballroom or Standard genre, and that decision ended up shaping the rest of their lives. After graduating from university with their degrees in hand, their pursuit of great dancing has brought them all around the world and gained them many championship titles such as: BC Champions, Western Canadian Champions, Canadian Championships Silver Medalists, Canadian World Championship representatives, and many other international titles won in the USA and as far away as Singapore. Living out of their suitcases and in search of the best teachers the world has to offer, they relocated from Vancouver to Toronto, then to London, England, and finally to Casina, Italy. Like many top dancers, time spent at home with family and friends was very limited. The last stop of their competitive career brought the couple to the studio and hometown of their mentors, World Champions Luca & Loraine Baricchi. After training with them for close to a year, Joel & Clara were invited by Luca & Loraine to relocate to Italy to work and train with them on a full-time basis, an opportunity they were honoured to accept. Although life was difficult, especially in a country where they didn’t speak the language, Joel and Clara look fondly on their time spent in Italy. Casina is a small town up in the mountains with a breathtaking landscape. Joel & Clara enjoyed meeting numerous dancers from all over the world who came to Italy to take lessons with the world champions. 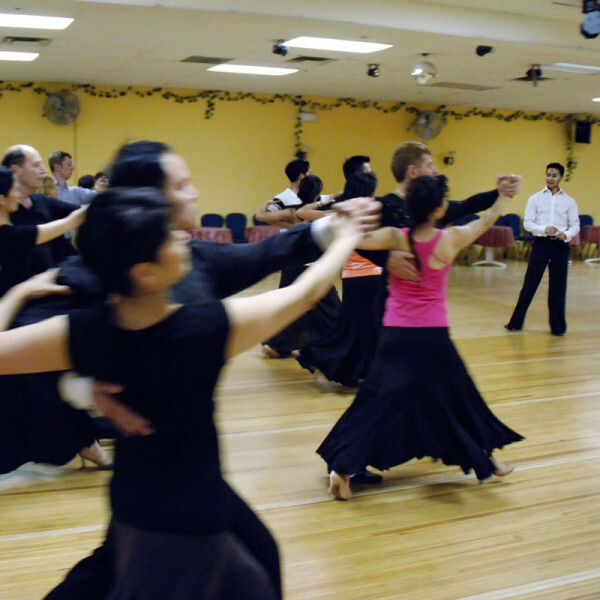 Having traveled the globe, Joel and Clara have learned a great deal about dancing, life and about love. They have shared so many unique experiences together along with numerous special people they’ve met along the way. In January 2006, they started a new chapter in their lives, relocating back home to Vancouver to begin their career as Professional Dance Instructors, Competitors and Showcase Demonstrators. After a whirlwind life together as globetrotting dance competitors, Joel and Clara marrried on the morning of August 15th, 2008 on a secluded beach in Vancouver in the presence of their close families and friends. Later that evening they hosted a reception that brought Vancouver’s dance community together for one great party. Ever since Joel and Clara became romantically involved and formed their dance partnership together, not much has changed between them. They have gone through a lot of experiences in their lives, and they’re both still very passionate about each other, about life and about dance. Joel and Clara feel blessed to have found passion and purpose in their lives, and are excited about sharing that with others. When they are not singing and having a dance party around the house, going out to the local playground to test out their newest gymnastics skills, taking in the buskers around Granville Island, this young family loves doing something completely different…reading lots and lots of books together. Are you ready for real fun?